The report commissioned by the HSE blames Ireland’s “high rurality” for not reaching the target times set by the HSE however, Senator Daly commented ‘The government is to blame for cutting the 2 emergency Ambulances that cover the Killarney area which in turn is taking emergency ambulances from Tralee, Dingle, Kenmare, Caherciveen and Listowel. 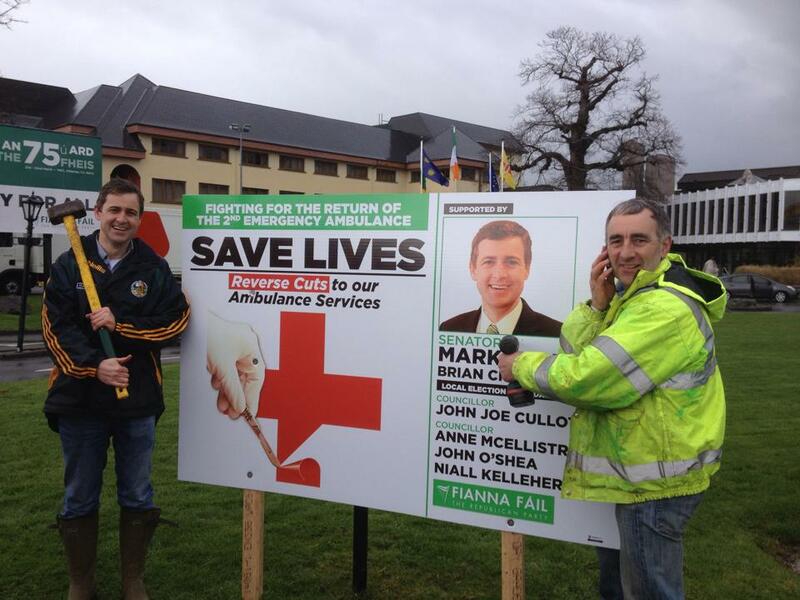 The decision to remove the 2 emergency ambulances is resulting in people dying unnecessarily in Kerry, it also means that those who have strokes and heart attacks are not getting treatment immediately, therefore stay longer in hospitals and need more help in recovery and more care in the long term which is costing more in the long run. The emergency ambulances must be returned to Kerry immediately, at the moment the HSE is playing Russia roulette with the lives of people in Kerry.